Some people are planning their gardens, buying tulips for their tables, and even rejoicing as crocuses push their way through the soil. Not me. Around here, winter is a hard, solid fact for almost three more months. Especially this winter with record snowfalls and below zero temperatures. And because my husband is a CPA, I never think spring arrives until April 15 anyway, and he climbs out from underneath the pile of 1040s he's been buried under, and we, here in Michigan, can maybe crawl out from under the snow. With that in mind, the best course of action is to decide we might as well enjoy it best we can. Truth be known, winter has become one of my favorite seasons. I love an excuse to stay by the fire with a good book and a pot of hot tea nearby. 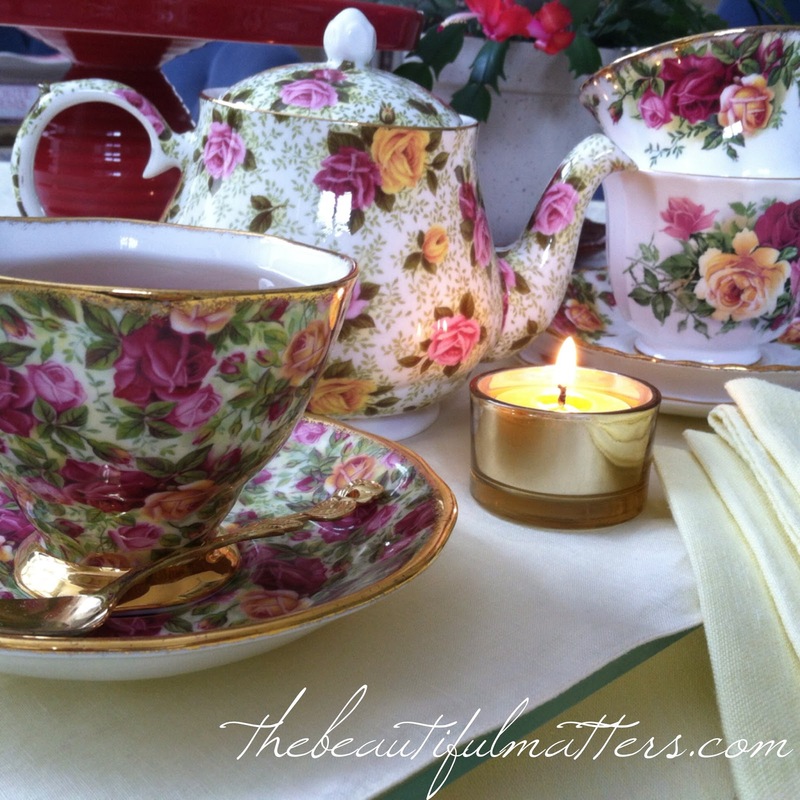 I think the Old Country Roses pattern by Royal Albert has such rich, warm colors that it is perfect for tea in winter. 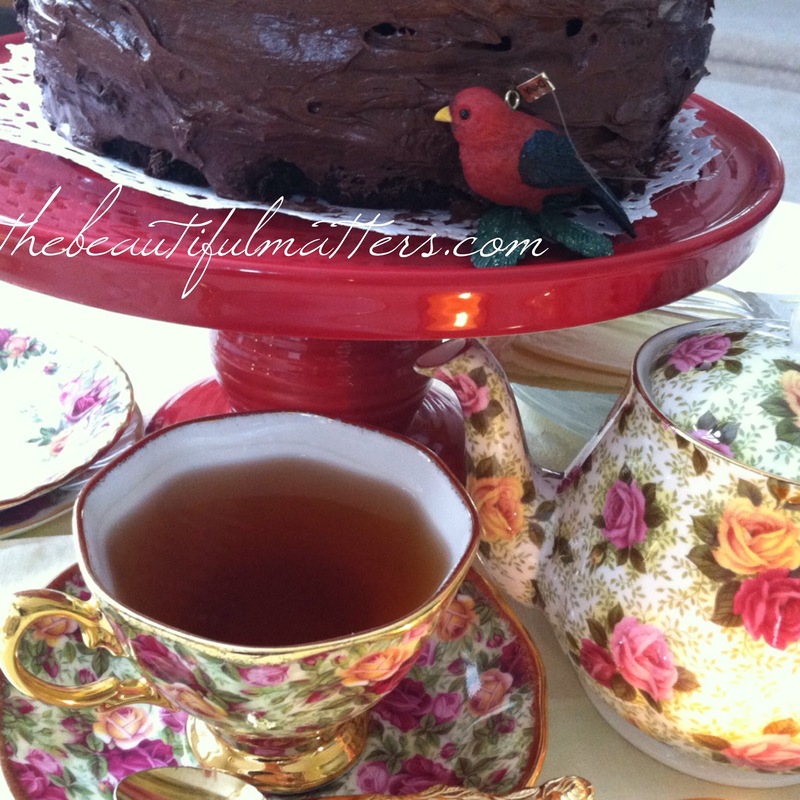 My daughter made this gorgeous from-scratch chocolate layer cake. 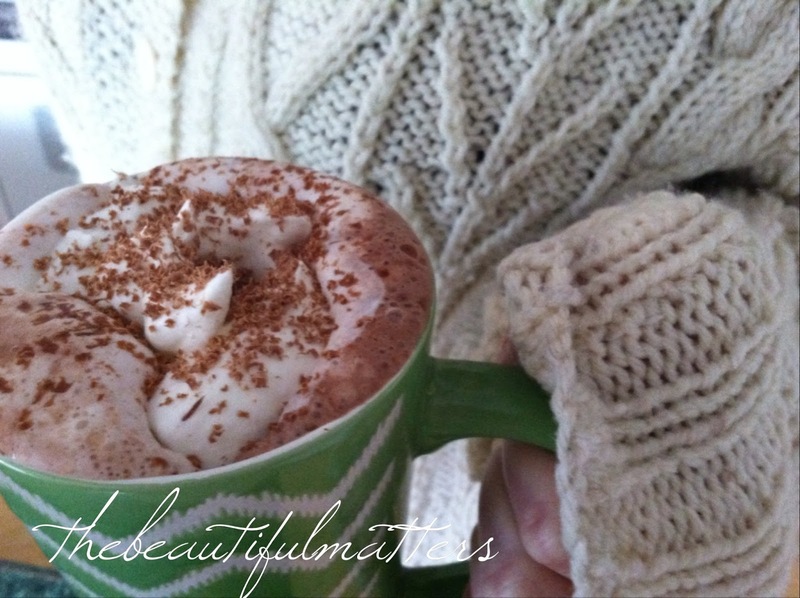 What could be better with a cup of tea? 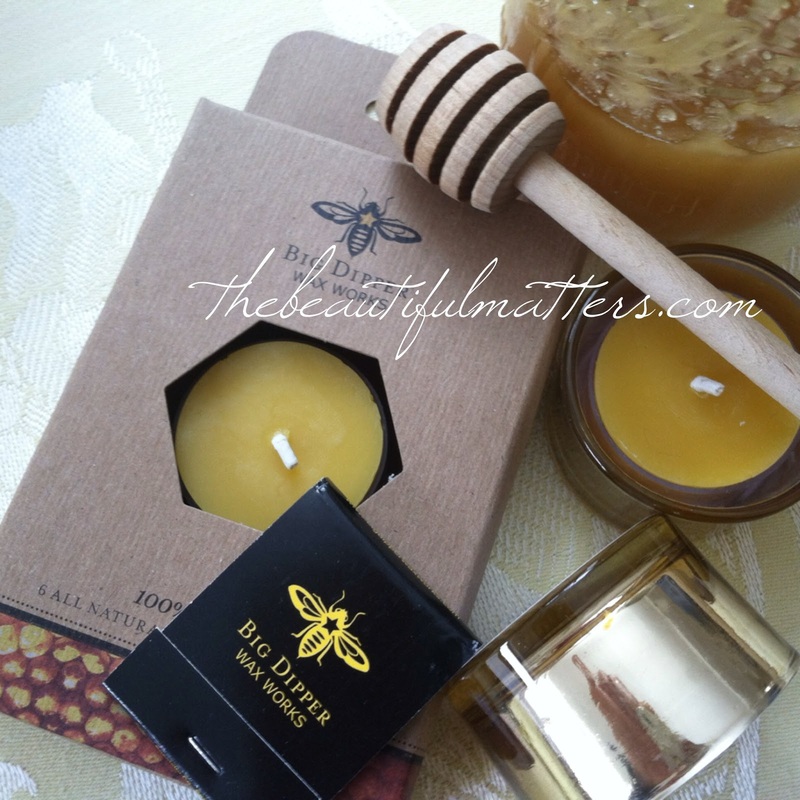 These beeswax votives smell so good. I love that they are all natural, and not emitting paraffins into the air. Aren't these matches adorable? They came in the box of candles. I found them at Whole Foods. The little mercury glass votive holders came from Sur La Table. They were way back in the corner near the floor, the last of the Christmas clearance. I usually don't wear red nail polish as it shows chips so quickly. It really is only good for about three days, and that's if you're careful. But I found a new nail polish brand at Sephora the other day. The bottle was so cute I had to try it. The shade is called January. Better get it on quick before the month is over! 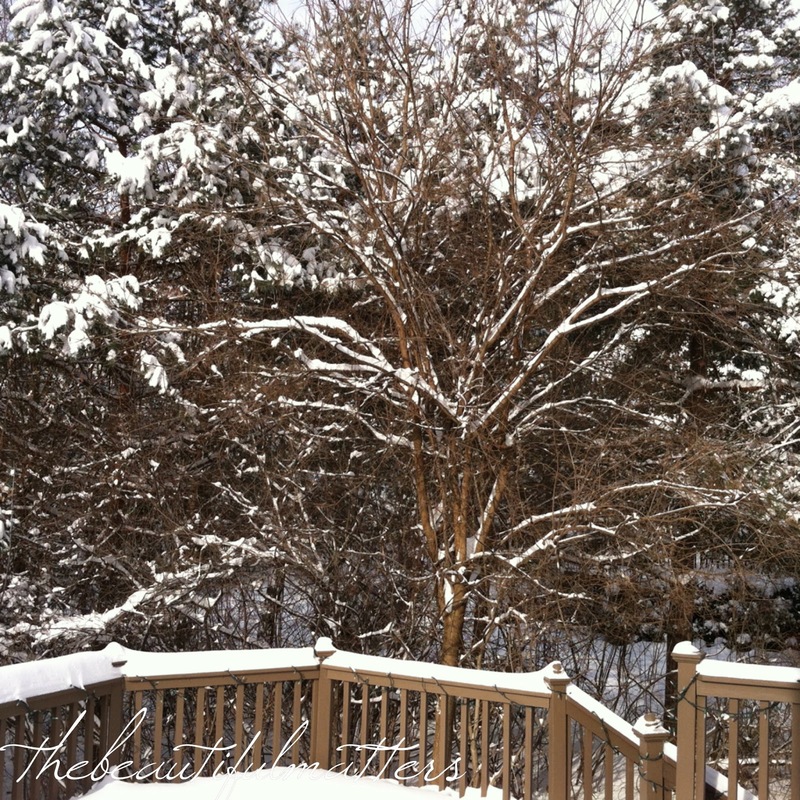 Here are some other winter pretties that I hope inspire you to enjoy the season, and not to rush it. Spring will come, with all its marvelous blessings, but don't miss the beauty in this season. 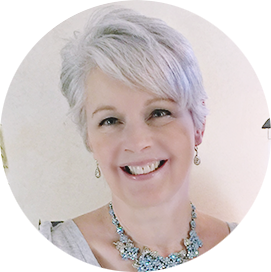 Linking with Rose Chintz Cottage, A Delightsome Life, and French Country Cottage. Thank you to these lovely ladies for including me in their beautiful link parties. thank you Karen! that cake was delicious ;)! Like you attitude: Enjoy it, it's part of life! And I adore your OCR teapot. I've never seen one like that. I did a tea with OCR today as well. Enjoy your day. thank you Beth. I'll have to pop over there and see it! My kind of tea gathering, laid back with a fire on and good conversation. I'd love to cozy up to the cat in front of the fireplace. yes, she's like a little heater on my lap! What a beautiful pattern, Deborah! I have several pieces of OCR but none like yours except for one of your teacups. 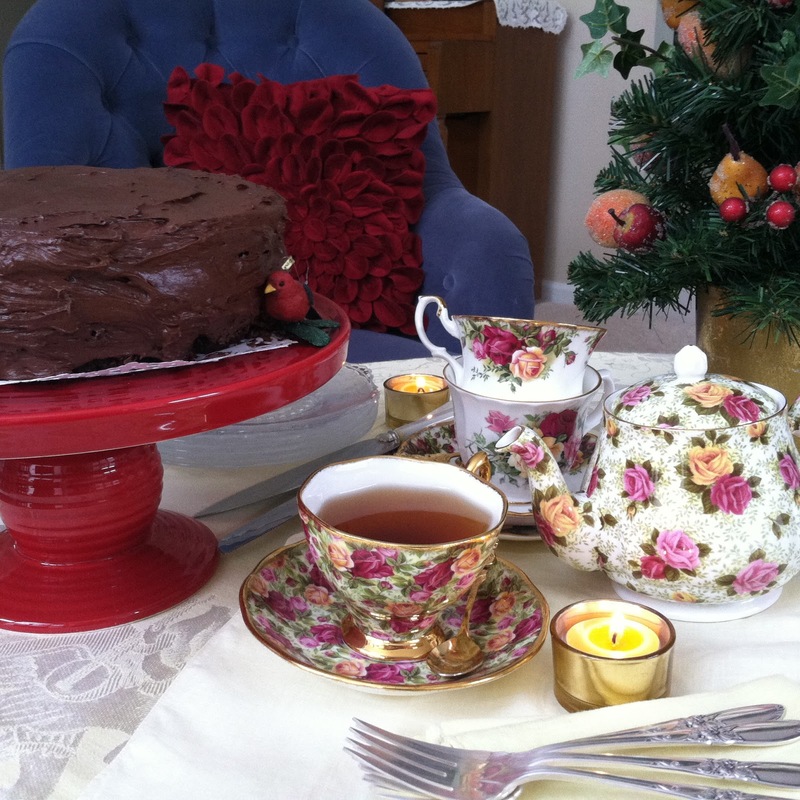 The cake looks delicious and I would love to join you for a piece with a cup of tea from your gorgeous china. That is a pretty Christmas cactus too. Thank you for sharing and coming to tea. I was sure I was following your blog but didn't see me on there. Anyway, happy to be following you now. Have a lovely day. thank you Sandi! 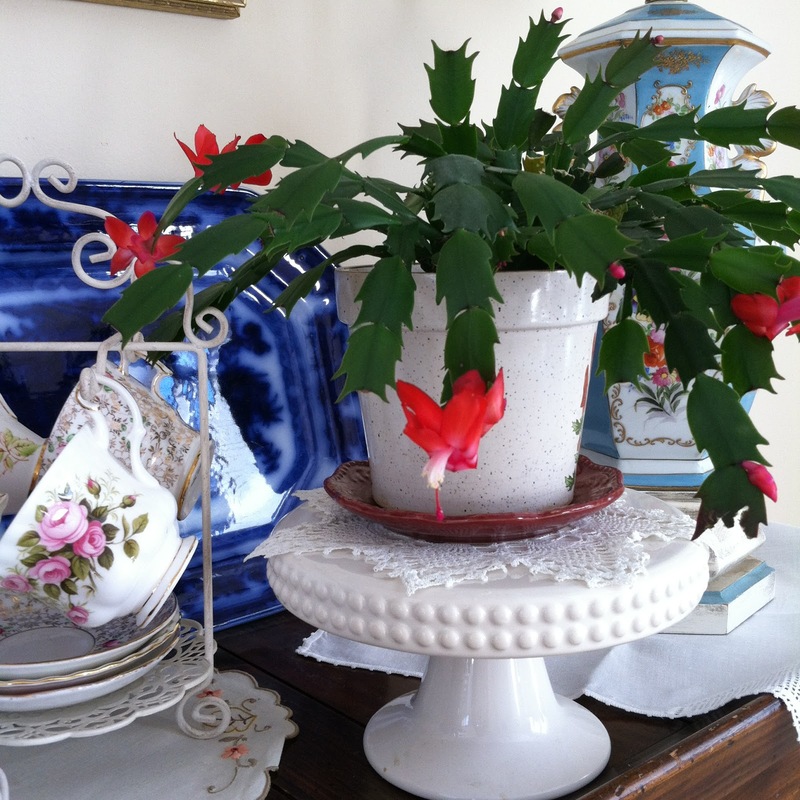 My "Christmas" cactus blooms around Halloween and then again around Valentine's Day! It's a little early this year. Such a pretty tea set! In spite of the weather everything in your home looks warm and beautiful..... the tea...the fire...the beautiful dishes even the red nail polish....It is good to see a little bloom on your cactus...makes me even more ready for Spring.. I think you are right...we need to enjoy what God has given us.....seeing all your pics makes me want to take time and enjoy it... Blessings! 1 degrees out there today. So thankful I don't have to go anywhere! Thanks for commenting Lori. It gave me the opportunity to find your blog. Love it! Oh, bless you! Winter is a long season up north. We lived in Iowa for 6 years, and oh! the snow. And oh!! the WIND! Brr. You can enjoy our early springs vicariously in blog land :) Down here in NC, we have to enjoy our spring early because summer falls fast on its heels, and it is HOT. For today, we have a thick layer of ice coming and then a few inches of snow, and schools are shut for 2 days. Quite a winter! Your china is lovely. I'll be having pot or two of tea today as well. Yes, I hear even the South is having unseasonably cold weather, ice, and snow. Stay warm! I have that pattern of dishes too. Your daughter's cake looks delicious we should have tea. Lol. Beautiful photos. 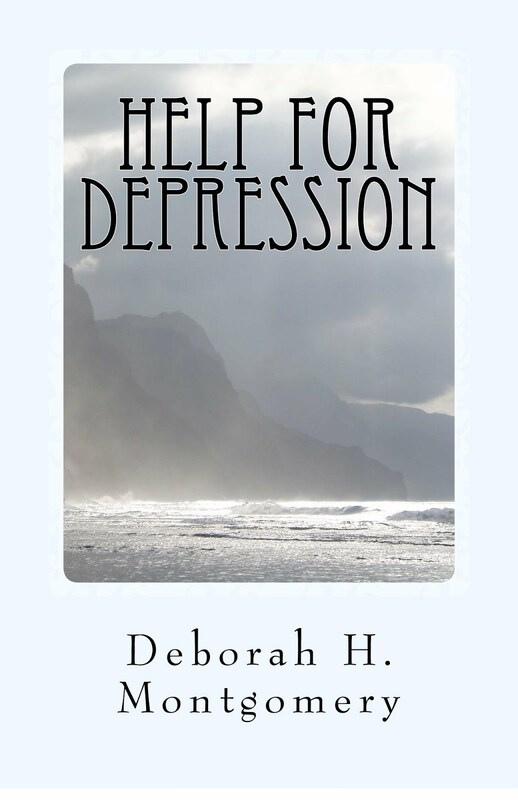 Hello Deborah, you have a beautiful blog! 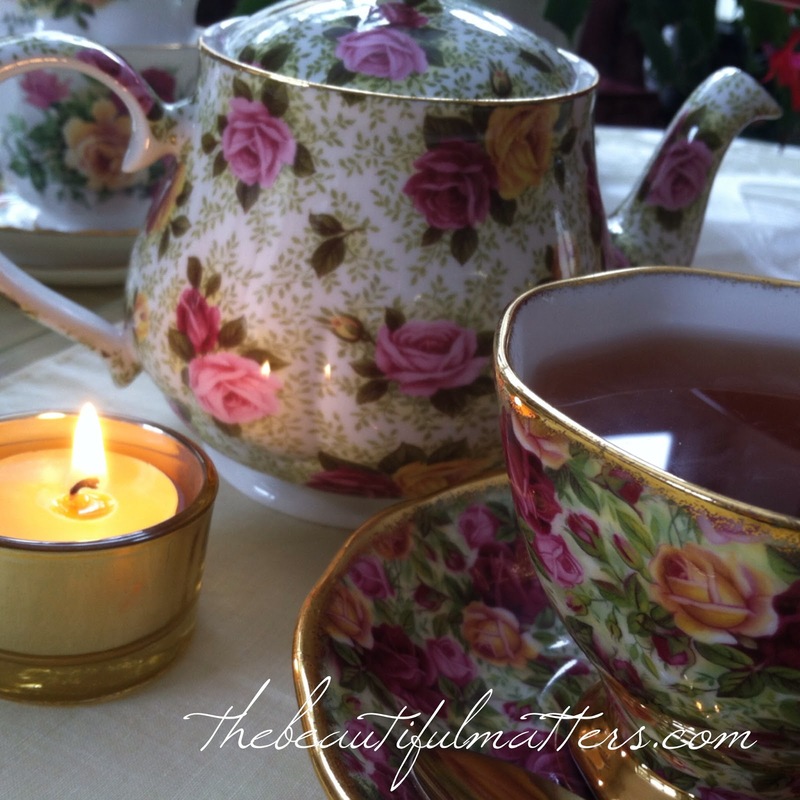 I have just become your newest follower : ) Your OCR tea setting is very lovely. The little votives are sweet in the setting. I too love the smell of beeswax. The cake almost took my breath away! lol! 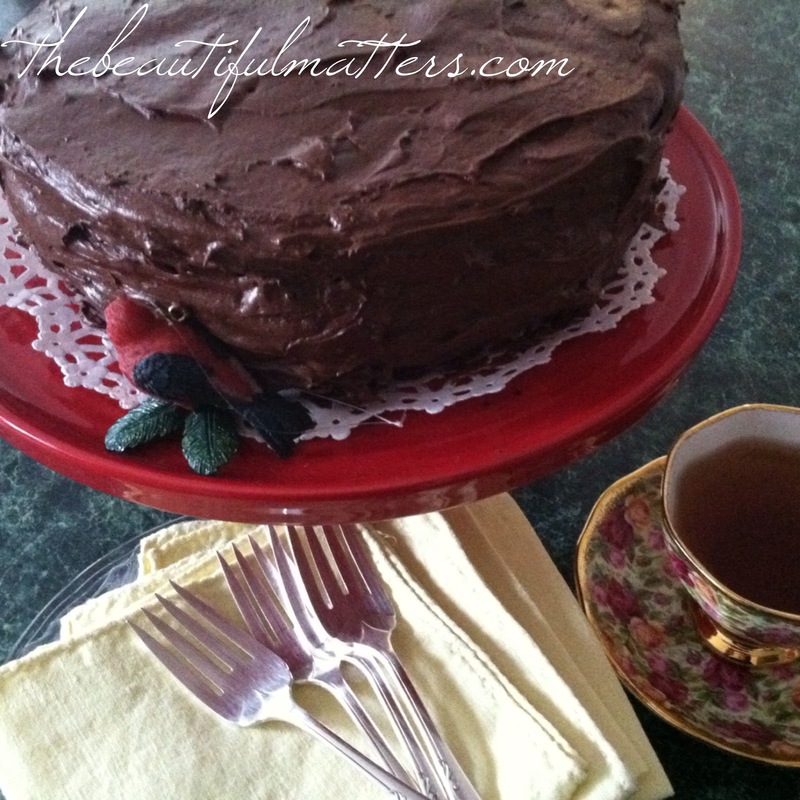 I adore chocolate layer cakes! And sitting by the fire with a good book, a cup of tea and a slice of your daughter's cake.....perfection! Thank you Terri! Looks like we are kindred spirits. So much beauty in the small enjoyments of life . . .
nice tea time. I love the cat in front of the fireplace. Makes a comfy feeling. Your setting is beautiful. OCR is a pretty china pattern and so nice in winter. I hope the winter will end soon for you, too. 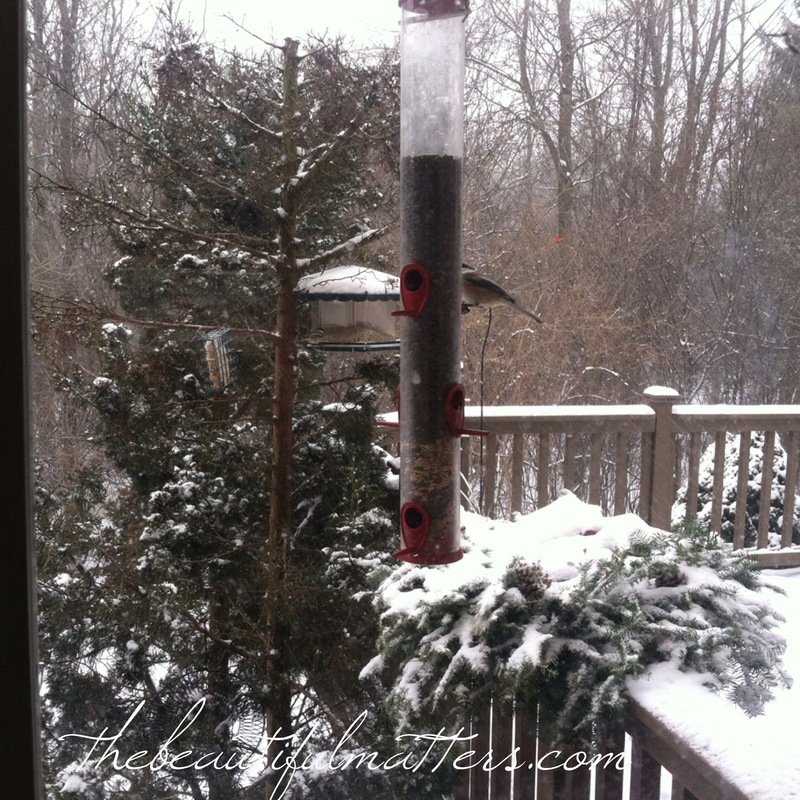 thank you for stopping by Johanna, it gave me a chance to view your lovely blog, too! Beautiful pattern. I have the other Old Country Roses. I love them all. I lived in Michigan from grades K-8. I remember the winters well, but as kids we loved them. Building snow forts in the snow plowed up on our streets is one nice memory. Thanks for visiting my blog too. 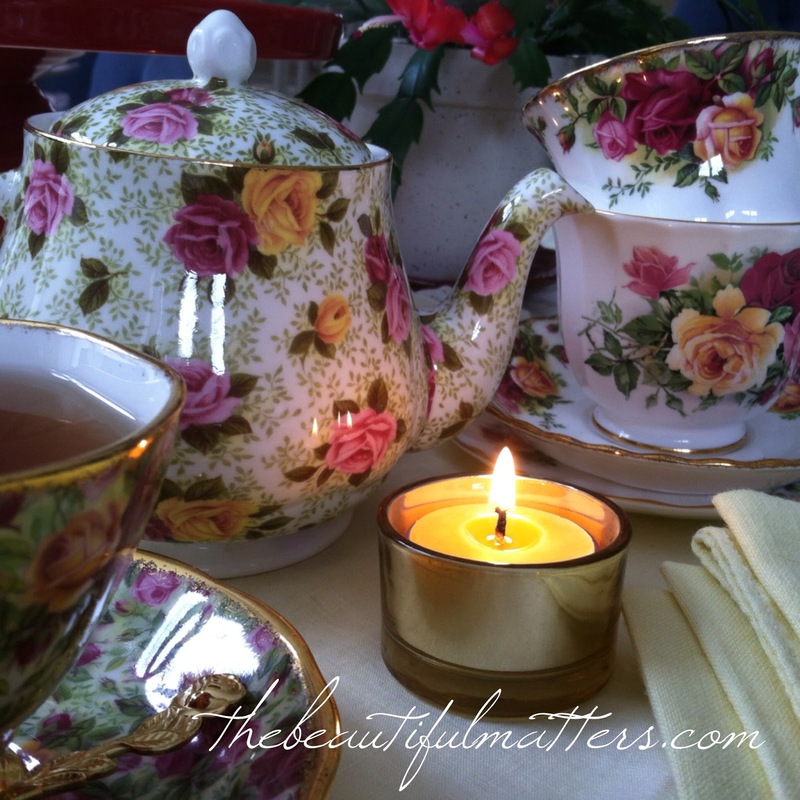 Tea Cup Tuesday is such a special way to celebrate life! yes, I made snow forts that way, and so did my children. So much fun! I love your romantic tea today. It's so cozy and comforting. We lived in Michigan before we moved to Texas, over 27 years ago. I'm like you in that I like winter time. Hi Kitty! Michigan to Texas is quite a change! I didn't like winter when I had to drive to work every day in the snow and ice, but now, from the comfort of my home, it is quite nice! Thanks for following me. I am following you too. I agree with you about winter, it is becoming my favorite season for the very same reason. It is the only season I can justify staying indoors to read, craft, while I sip my tea or coffee. I wish we had more of a winter here , rain and mist being our common state of being. Your setting is beautiful, and I think I need some of that nail polish ! 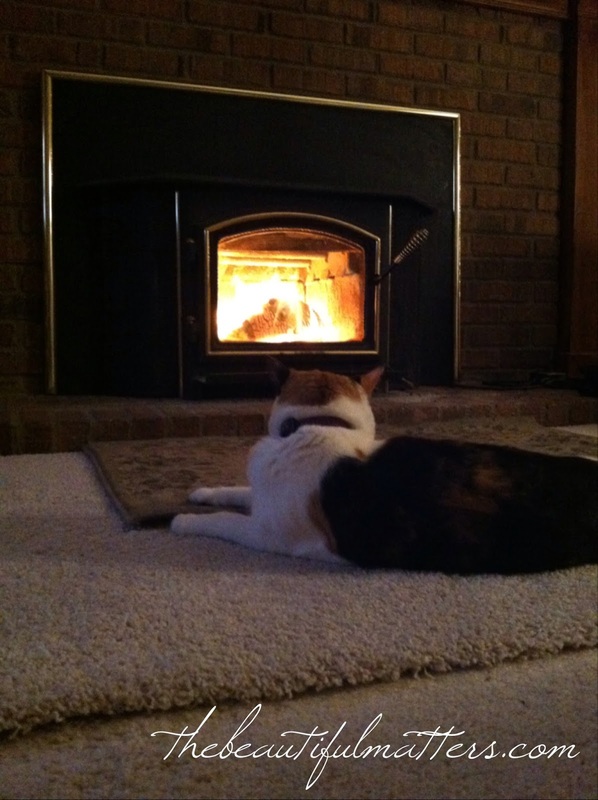 Your cat looks so happy and cosy in front of the fire - gorgeous! As is your Royal Albert. Your photography is beautiful as always. thank you Fiona. I will always remember you as being my first blog commenter (besides my daughter)! 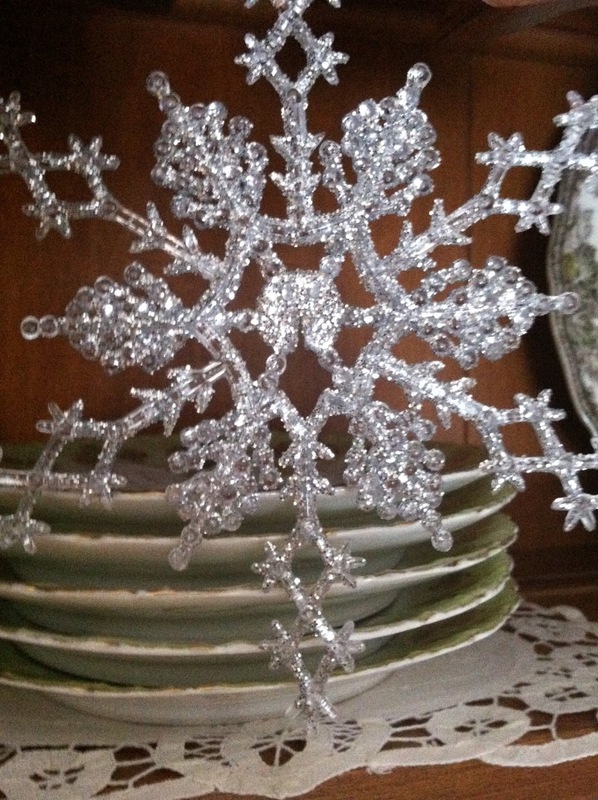 Love your beautiful dishes and linens. 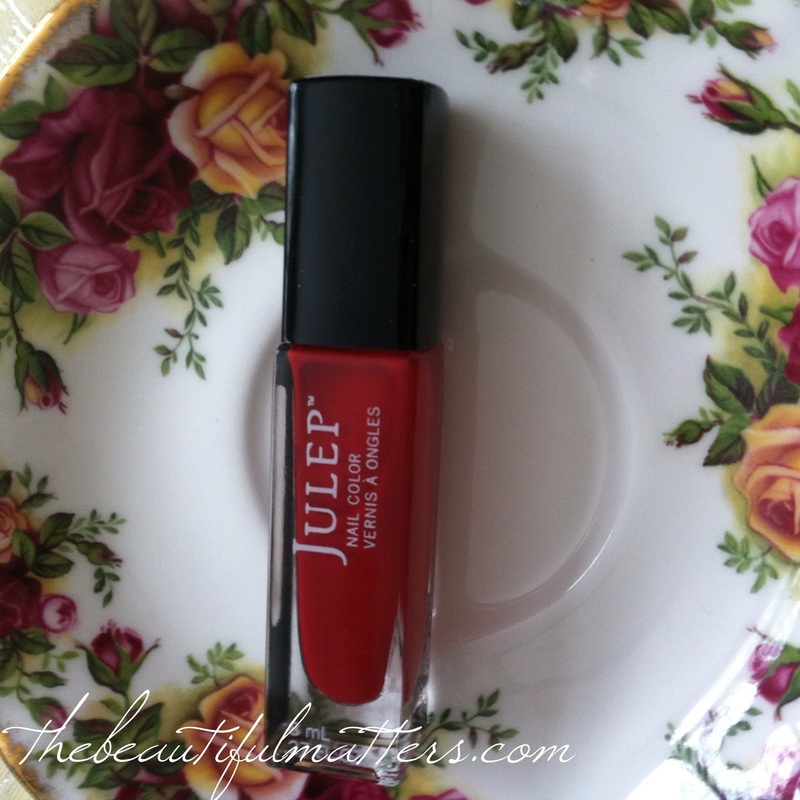 I have so many pretty things and often forget to use them. You have spurred me to do better. Thank you Carol. They get lonely in the cupboard ;)! thanks Kathy. We have more snow tomorrow, 3 to 5 inches. I really don't remember a winter quite like this one!